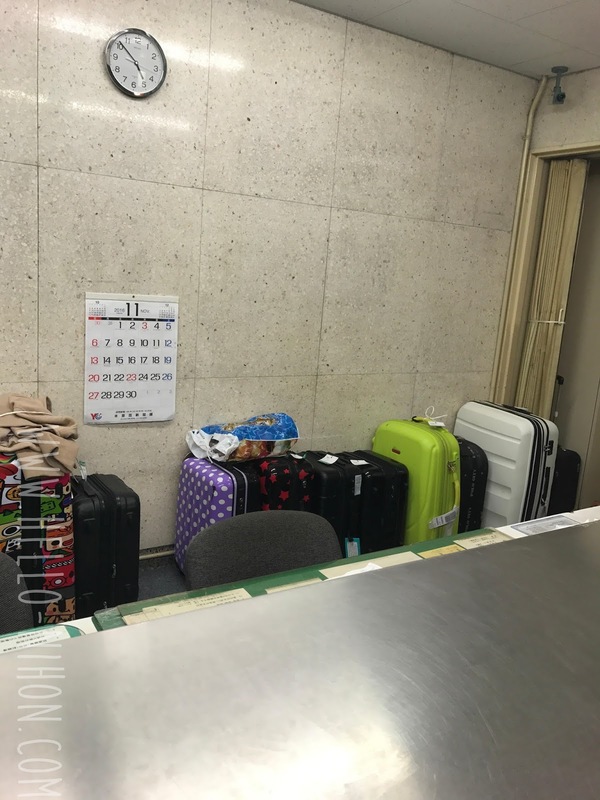 A lot of people who have departing night flights from Tokyo often face this predicament: they're forced to check out of their AirBnb / hotel / hostel in the morning, but they have large suitcases with nowhere to store them! You may be one of the lucky ones who has a place that lets you store your things (it's always worth it to ask--hostels are generally more accommodating) but more often than not, you're stuck with them. 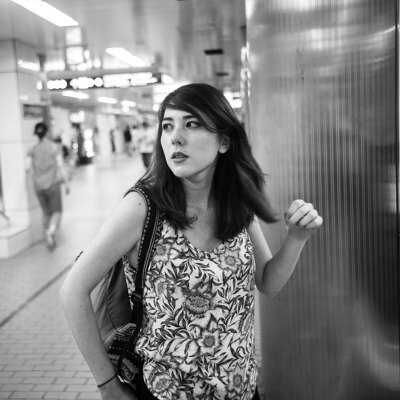 And you definitely don't want to roll around Tokyo dragging your bags behind you and slinging your duffel bags over your shoulder... Fear not, for there is an elegant and simple solution to your bag storage problems! Coin lockers. I tend to stick with the train station coin lockers. They are listed on station maps (usually designated with a box and a key shape) which makes them easy to find. They also come in at least 3 different sizes. The smallest is generally 200 yen and can fit a purse and a jacket. 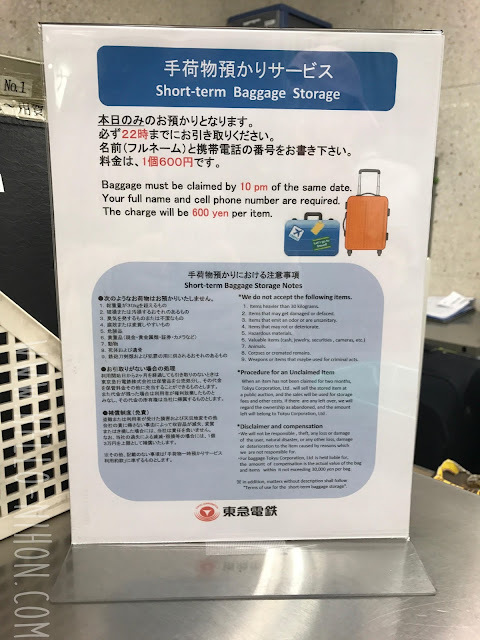 The middle size is usually 400 yen and can fit a duffel bag or a carry on suitcases (one that follows airline regulation size, not one that you try to sneak on and pray you don't get told to check because it's too large for the overhead compartments *cough*). The largest size is 600 yen and is good for your bigger travel suitcases. It's also incredibly easy to use. You just look for an empty locker (usually full ones are designated by a light or key sticking out), put your stuff in to make sure it can fit and close, put your dues in, and twist and take your key if you're using one of the older key models. 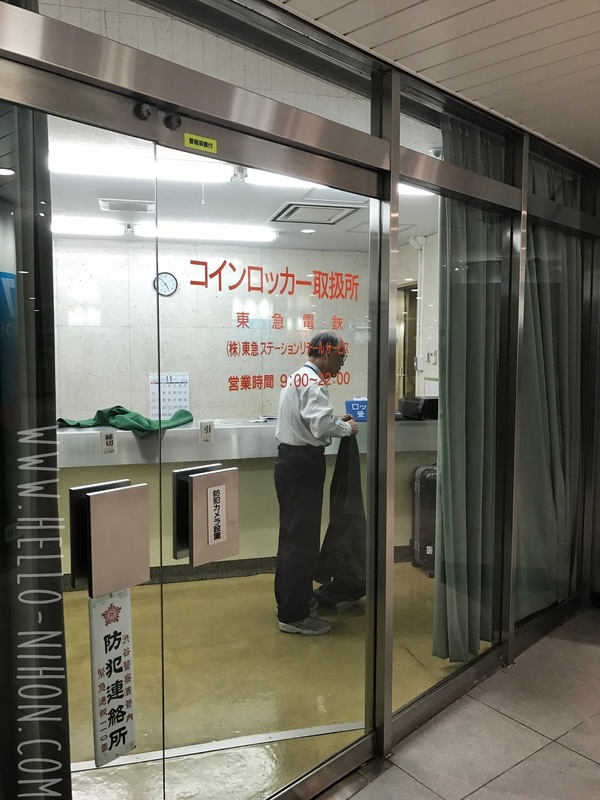 If the coin lockers you find are PASMO / IC card capable, it's an automated system that lets you pay with either cash or your IC card. There are English vocal and text guides built into this system. It should go without saying, but once you pay, your stuff is locked in. If you forgot to take something out, you're going to have to pay to lock it again, so be careful! Ok, so this sounds great. What's the catch? (Because there's always a catch...) The catch is that they're almost always full. Unless you're trying to get one before 9 AM or after midnight, it's tough to get one. Weekdays are a bit easier, but people use these to drop off their shopping, and not just for baggage. Which is exactly the problem I had. All the lockers were full in Shibuya Station. 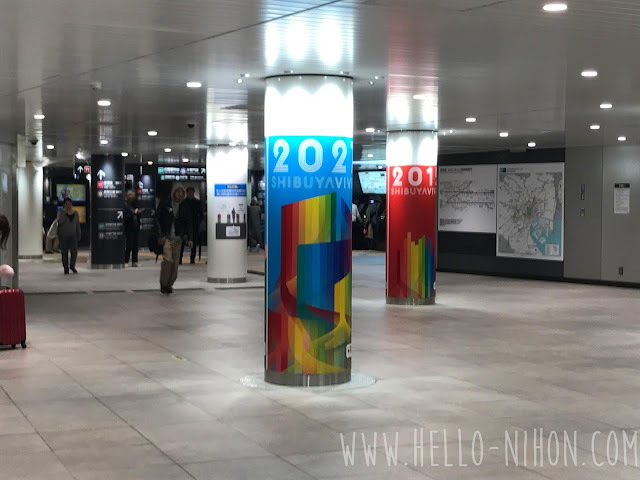 Look for these colorful pillars! But then, I found it. The Shibuya baggage storage is located near exit 3a, which can be found in the subway area (B2 floor, following the signs for the Tokyu Line, Fukutoshin Line, etc), or if you prefer to walk above ground, under the Shibuya 109 building. If you walk above ground, just take the elevator in the 109 building to B2 and it'll be to your left when exiting. The exterior - if you're lost, show someone this picture! The guys working were really nice, and only charge us for 3 pieces of luggage, even though we technically had 5 (we were resting our two duffel bags on top of the suitcases). They warned that they can only hold things until 10 PM the same day you drop it off, but that was no problem. (Coin lockers are available 24 hours generally). 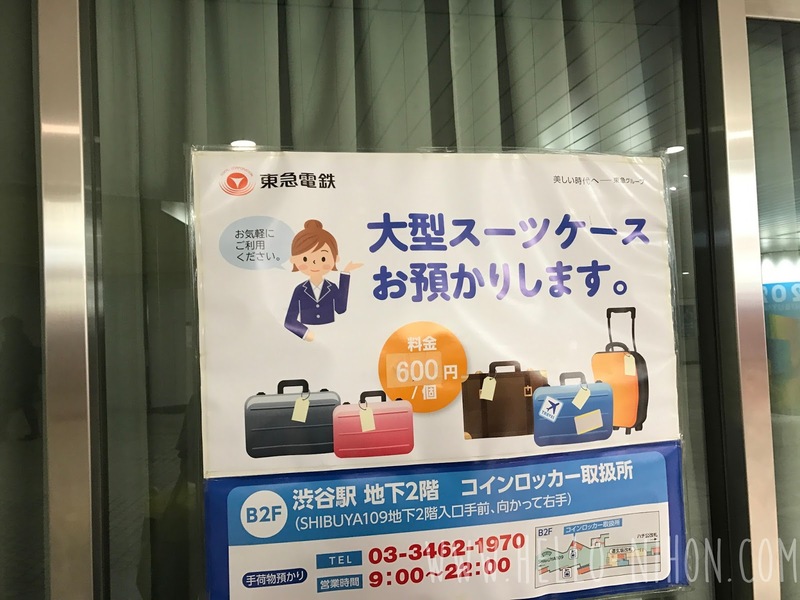 The cost was 600 yen for any piece of baggage, regardless of size. Be sure to read the rules! It's different from just dropping it off in a locker! They just had us fill out a luggage tag. They expect payment when you drop the bags off, and then they'll give you the luggage tag to turn in when we wanted to claim our bags. Easy as that. Plus, we didn't have to worry about everything not fitting or having to scatter the bags in different places. So convenient! If you're ever near Shibuya Station and need your bags stored, I recommend it!